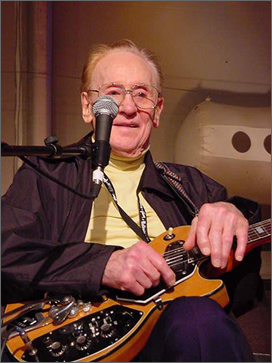 Les Paul, whose pioneering electric guitars were used by a legion of rock stars, has died at the age of 94. 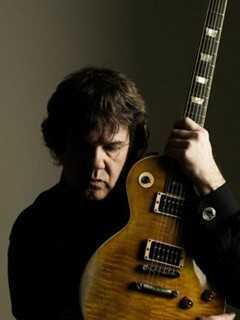 Mr Paul died from complications of pneumonia in New York, according to Gibson, the firm that sold his guitars. He is credited with inventing the solid-body electric guitar, which went on sale in 1952 and contributed to the birth of rock ‘n’ roll. He also developed other influential recording innovations such as multi-track recording and overdubbingÂ and he was credited with inventing the eight-track tape recorder. The Gibson Explorer is a guitar most readers may be familiar with, and it is a well-designed, well-loved shape used by several distinguished rock and metal players. So what in the name of all that is holy (see what I did there?) have they done to this one, many will ask. The bad sides of the gaping holes would be the obvious deficits in the sustain. Less wood means less vibration can travel through the body, so the notes canâ€™t last as long. Explorers are famed for the colossal sustain of the large body, so this sort of defeats the objective in that sense. Maybe the pickups make up for it, but I canâ€™t see that happening without use of a Fernandes Sustainer or an E-Bow. As well as that potential problem, the holes probably wonâ€™t be to everyoneâ€™s taste. I donâ€™t think it looks too bad, I just canâ€™t see the point. On the other hand, the original Explorerâ€™s considerable weight would be very much reduced, and the design is quite original, although they could have made a better job of the placing of the holes.Â The classic Explorerâ€™s well proven sustain and feel would inevitably be compromised, but answer me this- the Holy Explorer or that utterly repellent Eye Guitar? Gibson are making a whole run of 2009 Limited Run ultra-low production guitars, which, beside the hideous Tribal V and Explorer, also has some very nicely executed guitars- a reissue of the famed 1970s Grabber bass, and a stunning SG with a carved maple top. So, the Holy Explorer. I think itâ€™s nicely done, but a bit pointless. An Explorer with less sustain? And while the design is neat, itâ€™s far from perfectly executed. And, the price is a bit steep- $2775 against $2399 for the standard Explorer, but it will be a limited run of only 350 guitars, making it quite collectable. Â Gibson have gone very much overboard on limited run special editions of late, and itâ€™s wearing a bit thin. Weâ€™ve had the slightly overcooked Dark Fire, the new all-maple Raw Power Les Paul and SG, which defeats the objective of those two guitars completely, the Â Eye (sore) Guitar, and now the Holy V and Explorer. Are any of these a match for Gibsonâ€™s classic designs such as the Les Paul, SG, ES-335, Firebird, Explorer and Flying V? No. Gibson never used to muck around with expensive and ultimately pointless limited edition models, so why do they feel the need now? They have always stuck to what theyâ€™re good at, which has produced some absolutely inspired pieces of guitar design, which is why itâ€™s so infuriating when they donâ€™t do what theyâ€™re good at, and play around with decidedly uninspired limited editions such as this. We need less of this from Gibson, and more inspired designs like the aforementioned classics above. Gibson’s Eye Guitar – a future collectable? The new Gibson Eye guitar has certainly caused a storm of controversy since its recent launch, but mainly for being so damned ugly. The limited run, red and white, bastardised SG style guitar has bought a flood of negative comments in blogs and forums for its looks, and it’s not cheap either with a RRP of $2497. Assuming dealers will have trouble selling them I predict some nice discounts will be offered, so maybe it would be prudent to pick one up and leave it in the cupboard for a few years. Looking at the values of the Corvus with dealers and on Ebay, surely the Eye will follow along this path of derision, wilderness years, curiosity and finally collectability? After my post about the Gibson Les Paul Axcess, I thought I should follow up my mention of the Neal Schon Signature Les Paul. I believe only about 80 of these guitars were made by the Gibson Custom Shop, so they certainly fit under the collectable category. Here is a video of Neal discussing and demonstrating the Les Paul, and below that is a bit of sales copy about theguitar’s unique features. Rock guitar icon Neal Schon, best known as Journeyâ€™s lead guitarist and famous in his own right, has put his personal touches on the new Neal Schon Signature Les Paul guitar from Gibson Custom. The new model features such personal Schon touches as a Floyd Rose tremolo unit, a dramatically sculpted neck/body joint for easier upper fret access, and a Fernandes Sustainer pickup for the screaming lead parts he is famous for. The Neal Schon Signature Les Paul model has a carved mahogany top, mahogany back, multi-ply black/white binding on top, chrome-plated hardware and a Floyd Rose tremolo. The one-piece mahogany neck has a scarfed heel joint a â€œSchon customâ€ slim-taper neck profile. The 22-fret ebony fingerboard features pearl split-diamond inlays and single-ply white binding. The pickups are a DiMarzio Fast Track/Fernandes Sustainer in the neck position and a Gibson BurstBuckerÂ® Pro in the bridge position. In addition to the standard Les Paul electronics (individual pickup volume and tone controls, plus three-way selector switch), the Schon Signature features two mini-toggles â€“ an on/off for the Sustainer and an octave effect â€“ along with a push/pull pot for midrange cut. The Gibson M-III was one of the companyâ€™s rare attempts to muscle in on the popular Superstrat movement of the late 1980s, led by Jackson and Ibanez. It was not as successful as other Gibsons and was withdrawn after only a few years in production. The guitar featured an updated Stratocaster shape with a reverse headstock, and had a set-neck when the trend in Superstrat design was to have a thru-neck, or a bolt-on for the cheaper models. All guitars had Floyd Rose style tremolos and two humbuckers plus a central single-coil pickup. Also, where most superstrats had rosewood or ebony fingerboards, the M-IIIâ€™s frets were set into a slab of maple. The guitars looked and felt too different from Gibsonâ€™s classic models, and are no longer made, although there is an M-III shaped model called the EM-2 in Epiphoneâ€™s metal-oriented Prophecy range. The Gibsons are rare and collectable, but are another example of a 10-20 year-old guitar which offers a lot for not very much money used. They are worth between Â£500-800. Barney Kessel was a very respected jazz guitarist in the 1950s and 60s, and gained his own Gibson signature model in 1961. The guitar was unusual in shape,Â with a 25 1/2″ scale length similar toÂ an ES-335, but with much sharper double florentine cutaways, resembling an SG. The guitar was very normal apart from this, with four main controls, a wide body as opposed to the thinline design of the ES models, two humbuckers and a Bigsby vibrato. Barney Kessels were discontinued around 1974 and have not been made since. They are rare now, and would probably command a price upwards of Â£5000. Trini Lopez is a popular American-Mexican singer and guitarist who designed two signature guitars for Gibson in 1964. The first was the Trini Lopez Standard and the second the Custom, or Deluxe. 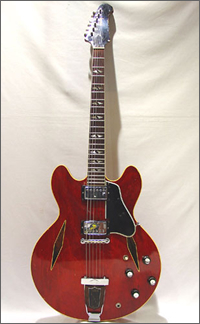 The Standard is based on the classic ES335 shape, but with a trapeze tailpiece (as seen on early Gibson Les Pauls) and diamond-shaped soundholes. The guitar also differed to an ES335 in that it had a Gibson Firebird neck set into the body. The Trini Lopez Custom is a much rarer instrument. It is based on an old jazz guitar designed in 1961 by Barney Kessel. The Custom has a double-cutaway body like that of an ES335, but with the cutaways much sharper and a larger body, giving a slightly unbalanced look. The Lopez models were discontinued in 1971 and are collectible and highly prized today, although not particularly expensive at this point in time. The Standard has been given a new lease of life in 2008 by Dave Grohl, singer and guitarist with the Foo Fighters. His Gibson signature DG335 model is a modified Trini Lopez Standard finished in Gibsonâ€™s classic shade Pelham Blue. The Trini Lopez models are rare and pretty expensive, but Grohlâ€™s signature model is more affordable (and readily available). The Gibson Moderne is one of Gibsonâ€™s most infamous instruments, and due to its limited production and the story surrounding it, it has acquired semi-mythical status. It was first announced in 1958. The Moderne was slated to be part of a very modernistic three-guitar series including the Flying V and Explorer, now two of the most successful guitars ever made. So what happened to the Moderne? In 1958 the three guitars were just too ahead of their time. They were dropped unceremoniously within a year. 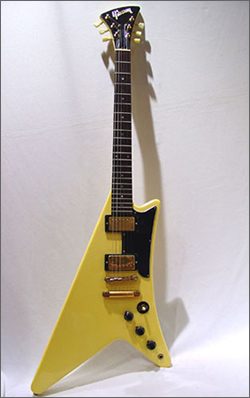 The Flying V and Explorer were reissued in 1967 and 1976 respectively, and continue to have huge followings. In 1958-9, only 96 Vs and 22 Explorers were made, but there was simply no demand for the particularly bizarre Moderne- not a single one was made, or so most people think. Some collectors have been slavishly trying to track down a 1958 Moderne for decades, to no avail. As far as anyone knows, no Moderne was made until the â€œreissued modelsâ€ of 1982. The only information collectors have to go on is the original patent drawing and a 1958 shipping record. The Moderne was â€œreâ€- introduced in 1982. 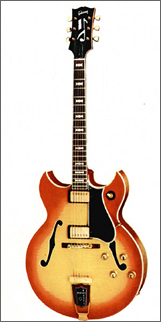 The 1980s models were not very successful either, with only 183 being made in the initial run.Â Other than the Korean-made Epiphone copies, Gibson has refused to manufacture the ModerneÂ again and there have been none made since the original â€œ2ndÂ seriesâ€ was phased out in around 1983.Â Â These can occasionally be found for sale, and are commanding high prices as they are still a rarity. Also not very common is the little-known Ibanez Futura, a copy of the Moderne made in the 1970s and 80s. Ronald Lynn Wood, a guitarist originally from Flint, MI became fascinated by the Moderne as a young man and set out to unravel the mystery of this elusive guitar. His new book,Â Moderne: The Holy Grail of Vintage Guitars, has just been released by Centerstream Publishing, and it is the most exhaustive and comprehensive accounting to date of the search, the history, and the rumors and facts surrounding the Moderne. No-one really seems to know the answer to this question, and even at the time one imagines several Gibson workers were probably mystified. No guitar had ever attempted a shape like this before, and with hindsight it seems fairly safe to assume why. No-one was prepared for the sheer madness, or possibly ugliness of the design, which drew numerous comparisons to a tin opener, although this is presumably not the effect Gibson was aiming for! 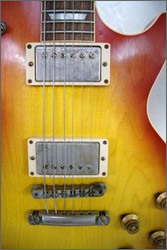 The guitar, quite apart from the unusual shape, was a perfectly normal guitar with single-coil or humbucking pickups and tune-o-matic bridge, although a bolt-on neck, unusual for Gibson, who usually utilised set necks. Finishes included classic TV yellow, white, natural wood and a particularly vibrant orange. There were three models, the Corvus I, II and III (depending on the number of pickups). The Corvus (Latin-speakers may know this is a Latin word meaning crow, which is maybe what Gibson were trying to emulate with this shockingly unconventional design) was a complete failure for the company and was withdrawn, having sold barely any units, in 1984. However, the Corvus has gained a small cult following after its demise, so they arenâ€™t as reviled now as they were. If you do find one, youâ€™d certainly be the only person on your street with one! In these postsÂ we’ll look at theÂ rarest, most valuable, most collectableÂ or just drop-dead gorgeous guitars – starting with one of the most valuable types of guitar available. These are seriously valuable guitars, especially all original models. New Les Pauls cost anywhere from Â£1500-Â£2500 depending on model, specifications etc. Any decently presented original model from the fifties will probably fetch up to ten times more, possibly higher depending on condition. Although the guitar was a slow burner when it was released, in the late 1960s interest picked up – quite a lot – so much so that some Les Pauls, particularly from around 1958-60, are worth properly huge amounts of money, and theyâ€™re hardly ugly, are they? 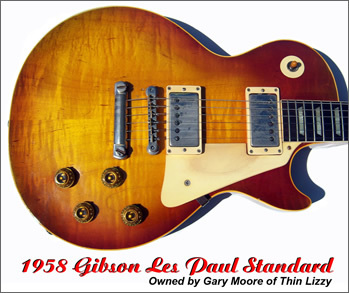 The original classic solid-body guitar, all thanks to the genius of Les Paul (the man).